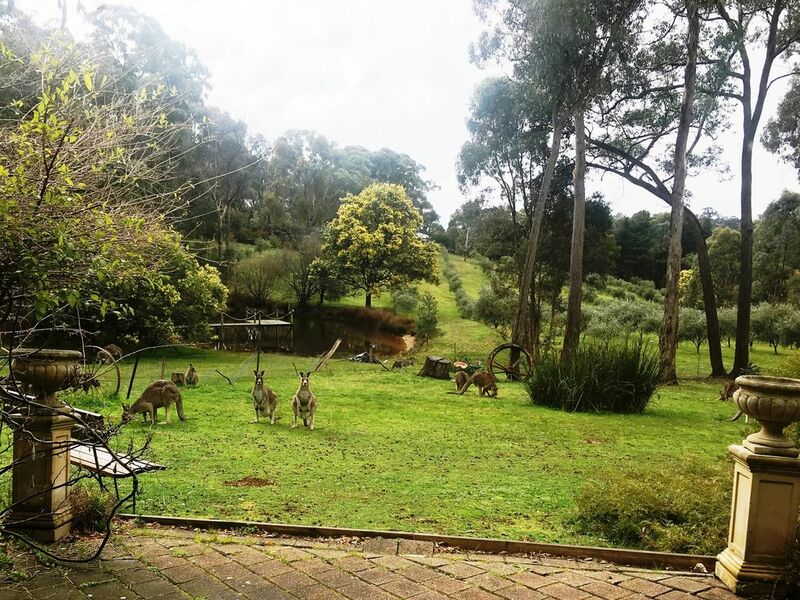 Tranquility, Serenity & Bliss are the best words to describe this peaceful oasis of 7+ acres, 3 dams, olive grove and multiple wildlife including kangaroos. Guests comment 'A little piece of Heaven' ... see for yourself. Best of both worlds within Hepburn Township - peaceful rural setting. Near Hepburn Bath House for your Mineral Spa Baths and Mineral Pool. Take a hit of Golf on the local Course one street away. Short stroll to the local Hepburn Village with Cafes, Restaurants, Hotels and quirky gift shops. SPA COTTAGE Self contained welcoming comfort spacious lounge with leather lounges, coonara log fire, aircon/heating, LCD-TV/DVD/CD, full kitchen, dishwasher, formal dining area, Queen bedroom, electric blanket, linen, dual rectangular Spa bathroom, hairdryer, ironing board & iron. Hepburn Golf course a street away. Lovely cottage, very comfortable, spacious and well equipped. This is a superb location, it is very peaceful and relaxing, with gorgeous views across the paddocks. Lots of birds and in the morning there are kangaroos almost at the door! Thank you for choosing to stay with us. Really appreciate your insightful feedback. So pleased you found it very peaceful and relaxing. Yes the wildlife are a real treat seeing them as they come and go They too enjoy our wonderful peaceful ambiance. We would love to have you back again.